There’s not much more dramatic than a main character who discovers her own body, lifeless and floating next to the family’s boat the morning after a party, in the very first chapter. 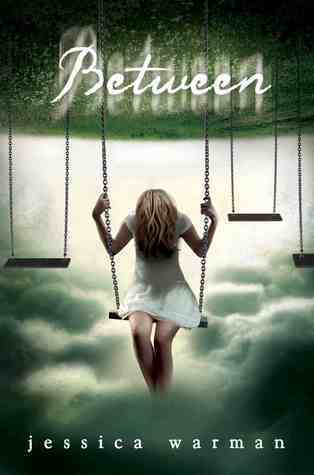 So begins Jessica Warman’s BETWEEN, a young adult novel about the death and life-after-death of Liz Valchar, a pretty and privileged teenager who finds that even after she dies, she has a lot to learn. Part ghost story, part thriller, part romance, and part mystery, this is a page turner of a novel that was pretty much impossible for me to put down. What impressed me the most is that the main character, for all of her rich-girl flaws, turned out to be incredibly likable. In fact, the whole book is peopled with characters who are far, far from perfect but managed to find their way into my heart all the same. I’ve heard this book compared to THE LOVELY BONES, and it’s similar in that it’s narrated from beyond the grave, but I felt like the writing in BETWEEN was stronger, and there were so many more layers. Fans of Lauren Oliver’s BEFORE I FALL will enjoy this one, and high school teachers and librarians should take note that while it’s a title that will pull in reluctant readers, BETWEEN would also be a great choice for literature circle discussions. The characters are so multifaceted, and there’s much to talk about here, from choices and consequences to friendships and forgiveness. Highly recommended for high school readers – and a lot of middle school kids who read up are going to love it, too. Teachers of younger students should just be sure to read first; it’s probably one you’ll only recommend to those more mature middle school kids who have already crossed the bridge from MG into YA. 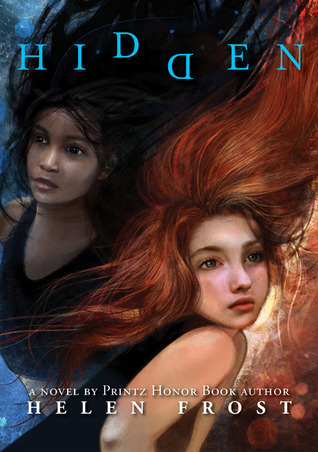 The premise of this book should hook kids right from the start: When one girl is accidentally abducted when her mother’s car is stolen, the daughter of the car thief, a child the same age, quietly helps her by bringing her food while she’s hiding in the family’s garage. Years later, those same girls meet at summer camp, recognize one another, and come face to face (literally) with the past that connects them. Written in verse, with two unique voices and an unusual format twist, this is a quick read that’s emotional, compelling, and beautifully crafted. The white space of the format and high-interest hook make it a great choice for reluctant readers and avid readers alike. Highly recommended. This book is brilliant. When a friend recommended it and I read on the back that it’s about “aging punk rockers,” I have to admit, I was skeptical. But Egan sucked me in with a stunning first chapter and didn’t let go. And really, the book isn’t about aging punk rockers at all. It’s about how hard it is to be a person – and how beautiful it is, too. 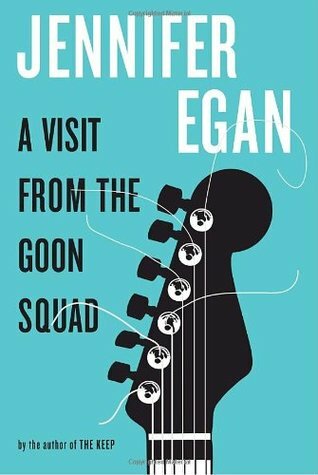 A VISIT FROM THE GOON SQUAD is a sweeping story that manages to time travel, jump continents, switch narrator and point-of-view with every chapter, and even change structures along the way (one chapter’s a magazine article; one is written in PowerPoint slides). It sounds bizarre, but it works in a way that’s beautiful, haunting, and real. The characters — and there are a lot of them (I did some flipping around to remember who everybody was and how they were related) are achingly, imperfectly real. I really recommend this one, but give yourself some time to read it so you can savor the language and stop to think along the way. You’ll want to do that. What about you? What have you been reading & loving this summer? Anything I absolutely must add to my list?